The following are multi-generational classes, that study varied topics using the Bible, resource study materials, and video presentations. Each class always welcomes new members. Beacon Class meets in room 107. 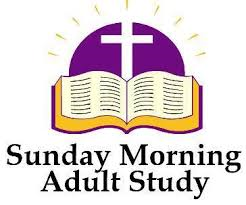 Is for people between 60 and beyond who love Bible study, fellowship and serving the Lord in the Church. 3-D Sunday School Class meets in room 101.We are a multi-generational class for anyone desiring a closer relationship with God, Jesus and the Holy Spirit. Determined to follow God, Dedicated to serving others, Disciple-making. Seekers Class meet in room 305. Fun-loving Bible studiers, include active adults, married and single, who help organize and lead other congregational events. Child care available if you call the church office. 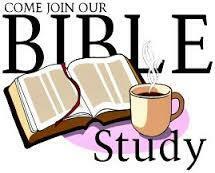 Men’s Bible Study – Wednesdays at 7:30 pm in room 202. All men are welcome to join this Bible study. They use the weekly lectionary scriptures as a basis for their study and discussion. All women are invited to join the group for lessons on social issues and missions.